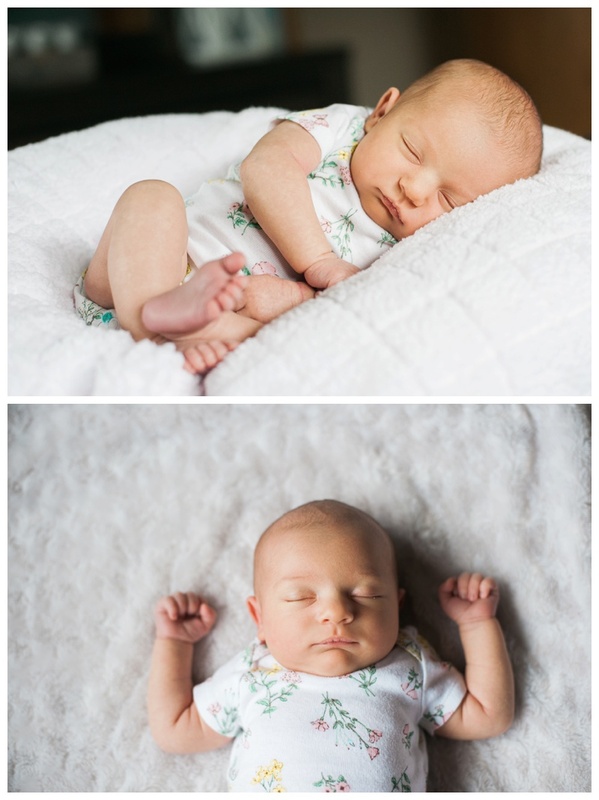 This lifestyle newborn session was so amazing, and this sweet little one is oh so loved! 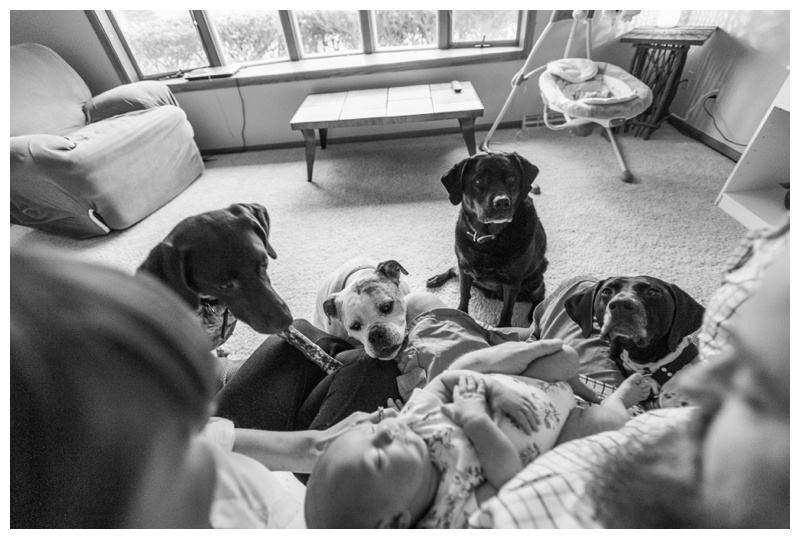 Four friendly dogs and a very camera focused cat were there ready to introduce this new baby to the world. 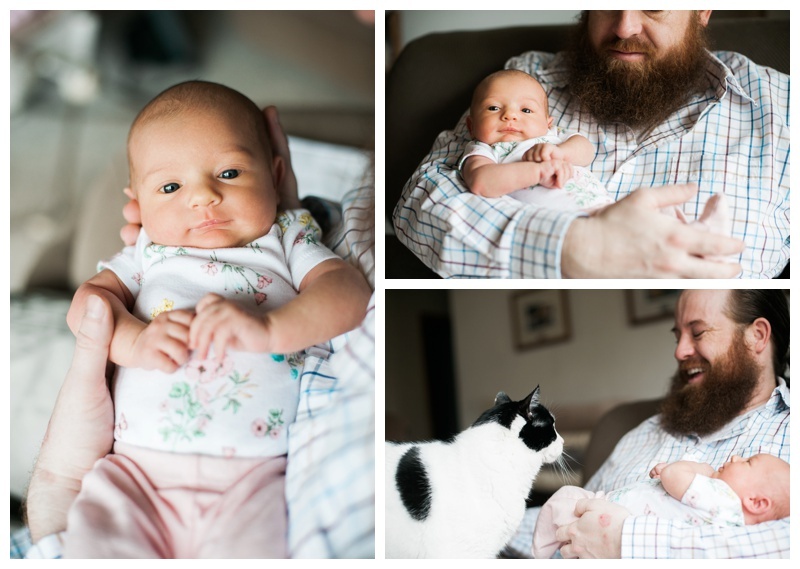 I only wish I was as calm with my first baby as these two new parents. Two old pro’s… and sweet baby Payton was such a pleasure. I’m so excited to see her again in just a few short weeks when I get to photograph their wedding too. 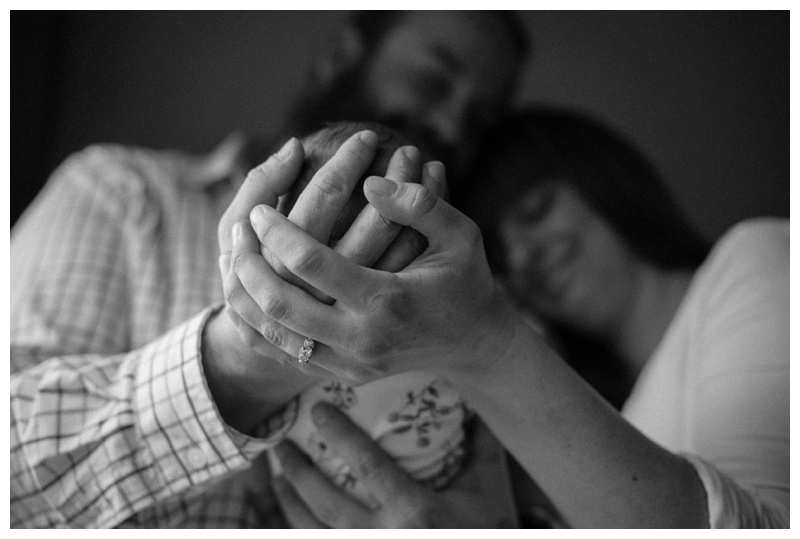 I can’t tell you how much I adore capturing these first moments of a new family all together. 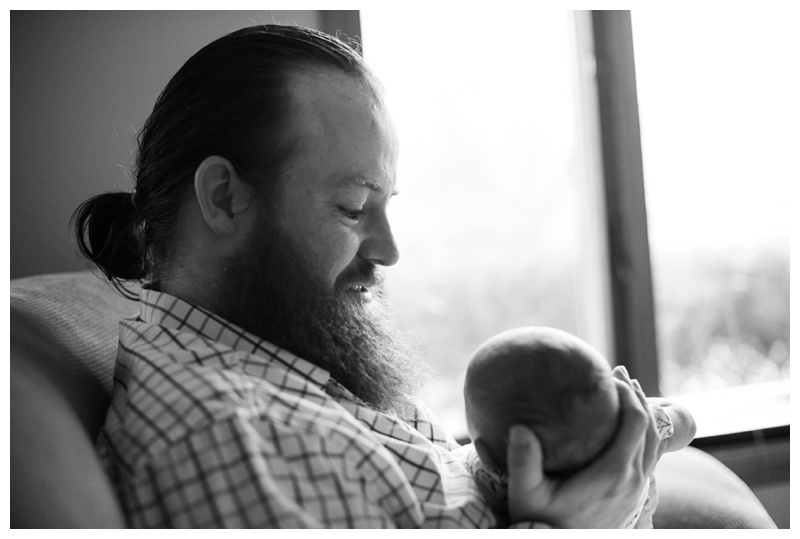 Thank you so very much for choosing Karly Jo Photography to capture these precious memories. 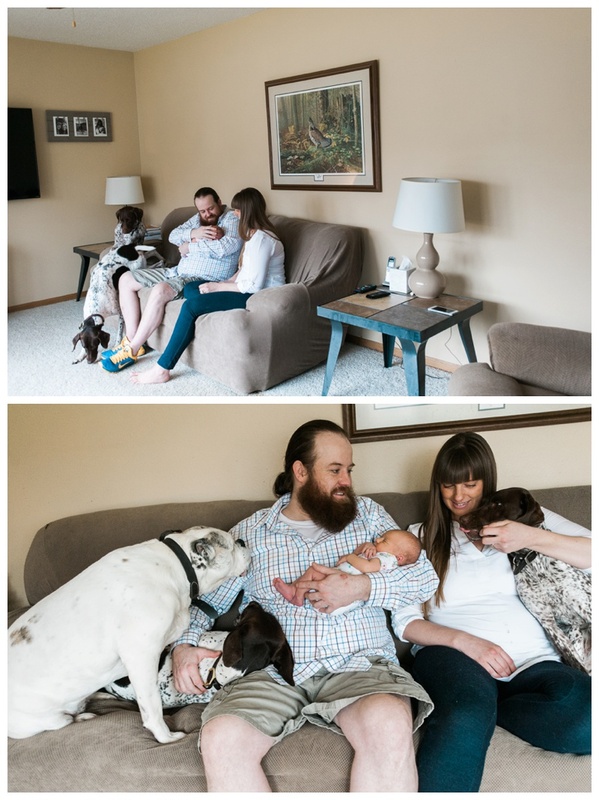 I specialize in telling lifestyle newborn portraiture in and around Madison & Janesville, Wisconsin. 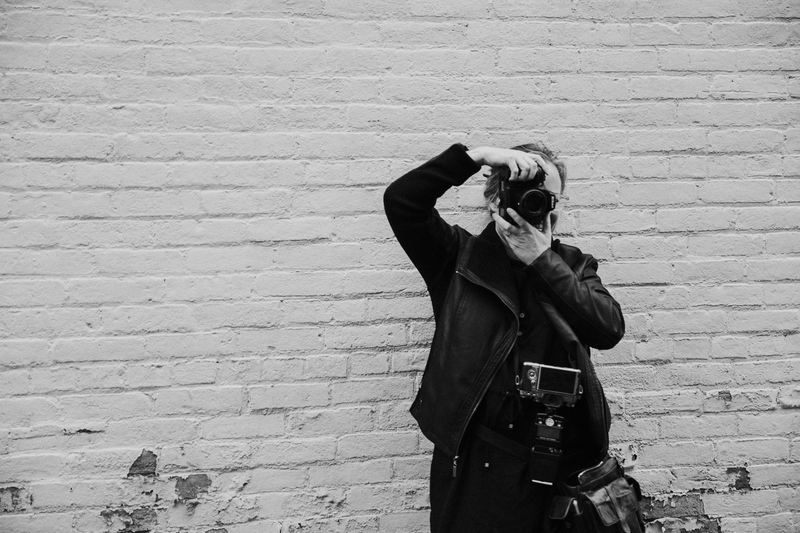 Contact KJP if you have special event on the horizon.